Resorts and hotels in the Mamanucas, Nadi coastline and the Coral Coast activated precautionary measures yesterday in the wake of Tropical Cyclone Keni. The hotels remained focused on the challenge of keeping their guests safe and entertained as winds up to 130 kilometres per hour battered the nation. 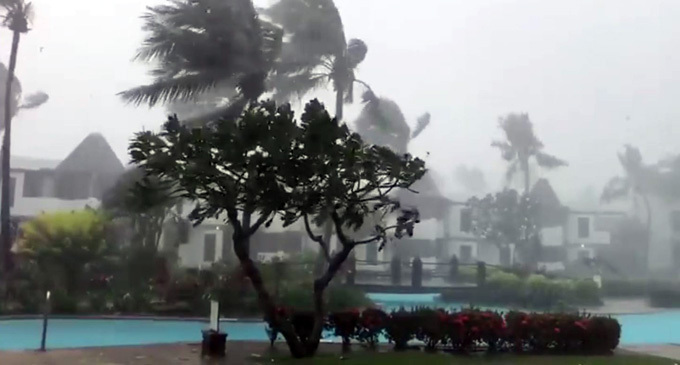 A survey of eight major resorts in some of the places that would have been in the path of TC Keni showed guests opted to remain inside the hotels despite the bad weather. Fortunately, the cyclone nosedived deep southwest past Kadavu. 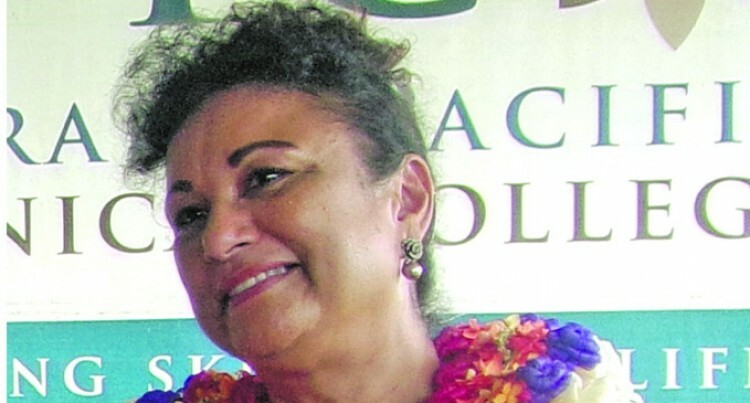 Fiji Hotel and Tourism Association chief executive officer (CEO) Fantasha Lockington said they had sent out advisories and weather alerts to their members and continued to liaise with them amid the worsening weather. 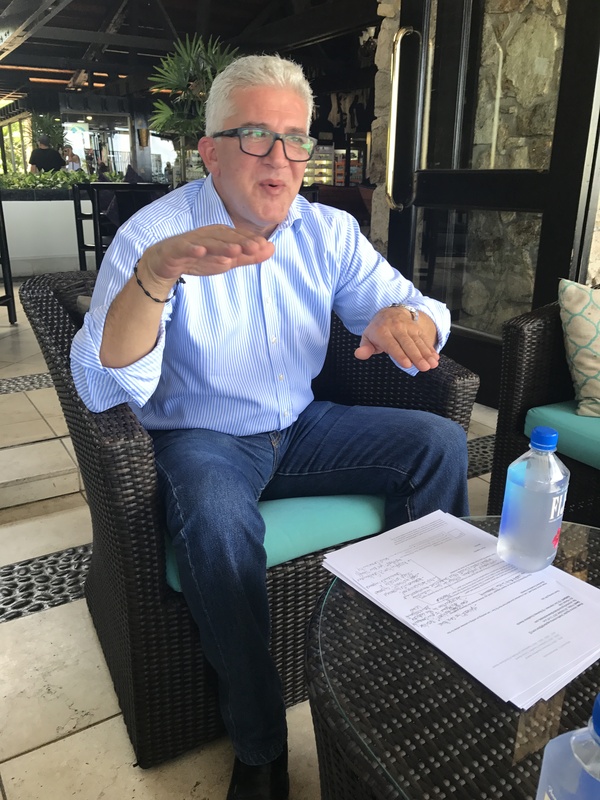 “All resorts and hotels have been prepared for such weather and I have not received any adverse reports as yet,” Ms Lockington said. The resort/hotel managers contacted said the safety of the guests was being prioritised. Heavy rains and strong winds affected Fiji Airways and Fiji Link flights Sunday, forcing cancellations, delays and advanced departures. A statement issued by Fiji Airways, said several flights had already been cancelled and that the airline was in the process of contacting and re-scheduling passengers. The weather intensifies on Denarau Island, Nadi on April 10, 2018. Mana Island Resort Human Resources manager Shailend Nair said the hotel had fortified itself to protect its guests. Mr Nair said they were presently hosting 240 members of the American Survivor Series show in-house and that the hotel staff were trying to make their stay as comfortable as possible. At midday yesterday, Mr Nair said strong winds could be felt but the hotel had not sustained any damages. Plantation Island Resort manager Alex Wilson said the situation at the resort was under control and all 350 guests were safe. “We are giving them complimentary coffee and tea and the guests are being entertained to keep everyone’s spirit up,” Mr Wilson said. Amidst strong winds, Mr Wilson said they had created a safe environment for all guests and had no major incidents to report. Treasure Island Resort general manager Craig Powell said the resort had over 90 guests which included infants and children. He said around midday yesterday, the resort felt strong winds. “Everything is secure and we are keeping the guests happy with our in-house band,” said Mr Powell. DoubleTree Resort front office manager Maureen Nisha said they had 220 guests and 90 staff at the resort which is on Sonaisali Island, Nadi. They have stopped all movements around the resort and have asked all the guests to stay in their rooms. Ferrying of goods and guests to and from Nadi has ceased because of the rough seas. “We are all doing well right now,” she said. Vuda Marina general manager Adam Wade said they had received a lot of yachts seeking shelter from the cyclone at the marina. The marina was also catering for a number of boats and catamarans belonging to some of the major tourist operators who service the Mamanuca and Yasawa Islands, he said. “At present, we have about 150 yachts which are sheltering here along with a lot of local vessels including some from nearby resorts,” Mr Wade said yesterday. Mr Wade said some of the yachters have opted to remain on their yachts anchored at the marina. Warwick Fiji general manager Charles Homsy said they received a total of 25 cancellations yesterday. Nathan Vassallo resort manager at Kokomo Private Island Fiji, said that there were strong winds from the north with large sea swells. There were strong winds felt at Yatule Resort and Spa, Natadola Beach around midday yesterday but it slowy began die down around 2pm. Charles ChambersFiji Hotel and Tourism Association chief executive officer (CEO) Fantasha LockingtonFIJI NEWSTropical Cyclone Keni.